Located in the trendy beachside suburb of Santa Monica, the 4-star Viceroy Santa Monica hotel has a reputation that precedes itself. The sophisticated decor combines contemporary chic and modern luxury, with spaces that have become known throughout LA as distinctly “Viceroy”. You can opt for an intimate wedding party with just you and your immediate loved ones at their Poolside Cabanas and Patio, featuring plush armchairs shaded with sailcloth. Enjoy the relaxed poolside ambiance by day or indulge in its candle-lit romance by night. With floor-to-ceiling windows, the Dorset Room provides another elegant intimate space, with the capacity to host 35 for a sit-down dinner. Or for a more cosy ambiance, select their library lounge which houses more than 2,000 books on the arts and culture that have been hand-picked by their notable interior designer. For more extensive wedding guests lists, opt for the stunning Bristol Room which can cater to up to 120 guests and features a large adjacent patio to take in the warm Southern California evenings. The Bristol Room also features a drop-down screen and state-of-the-art sound system so you can display personal photos and movies throughout your reception. Alternatively, their Outdoor Patio can be transformed into a glamorous al fresco reception space, with the capacity for 120 guests for a sit-down event or 450 for a cocktail-style reception. You can add your own florals and decorations to create a unique space, but in true Viceroy style there are plenty of talking points in the furnishings available. No matter which space you choose, you have access to the Viceroy Santa Monica’s iconic interior and exterior decor that makes this venue such a stand-out. From its plated-wall to the pool courtyard and dramatically-lit hallways, scheduling in extended portrait sessions should be a priority for couples holding their wedding here. In addition to wedding coordinators to help plan your special day at the Viceroy Santa Monica, their experienced culinary team is also on hand to create a customized wedding menu that satisfies your tastes and preferences. 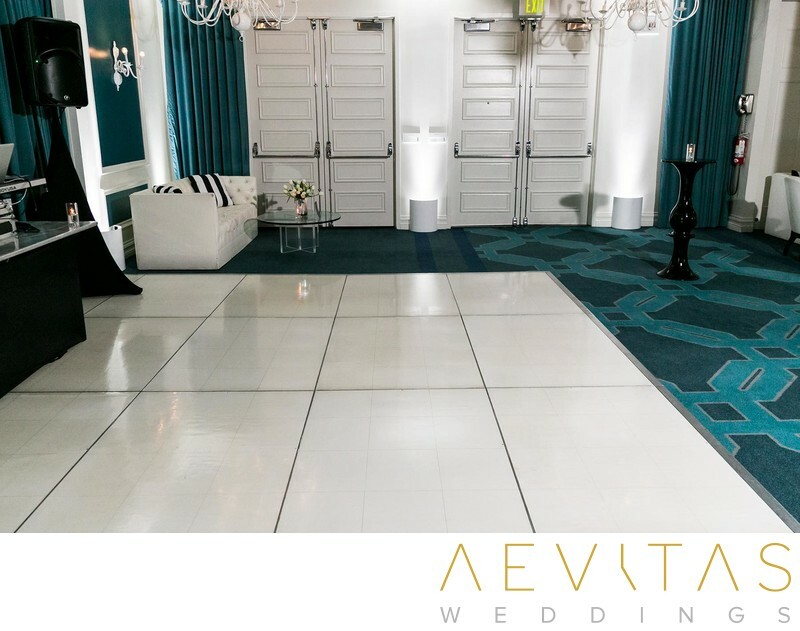 The Viceroy Santa Monica is an ideal wedding venue location for both local and out of town guests, with stunning beaches, excellent shopping and Hollywood all on their doorstep. The Viceroy is a venue that makes a strong statement in your wedding photos and perfectly reflects the LA-inspired lifestyle.